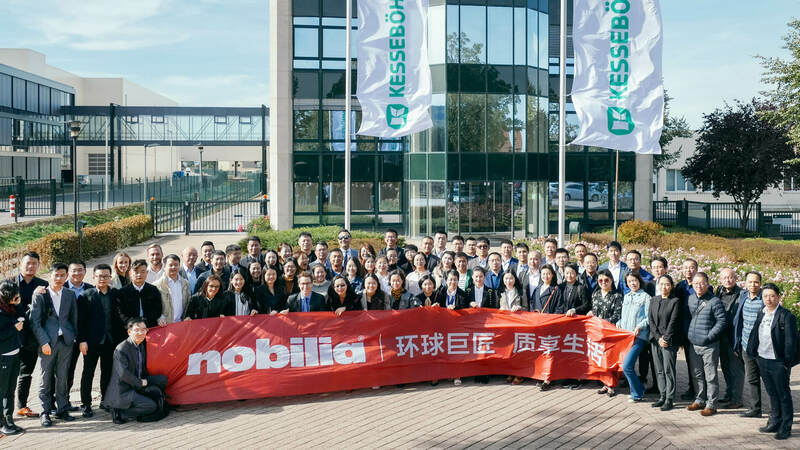 At the end of September 2018, around 80 retailers from Nobilia kitchen studios in China were invited to the Kesseböhmer head office in Dahlinghausen, Bad Essen. The visit was initiated by Thomas Johannesmeier, Nobilia Area Manager Asia Pacific. Managing Director Burkhard Schreiber welcomed the guests, who were able to enjoy comprehensive insights into how the hardware system specialist operates. The official highlight of the visit was the guided tour of the plant, where Quality Engineer Jochen Kayser in particular showcased the new “LeMans” production processes. 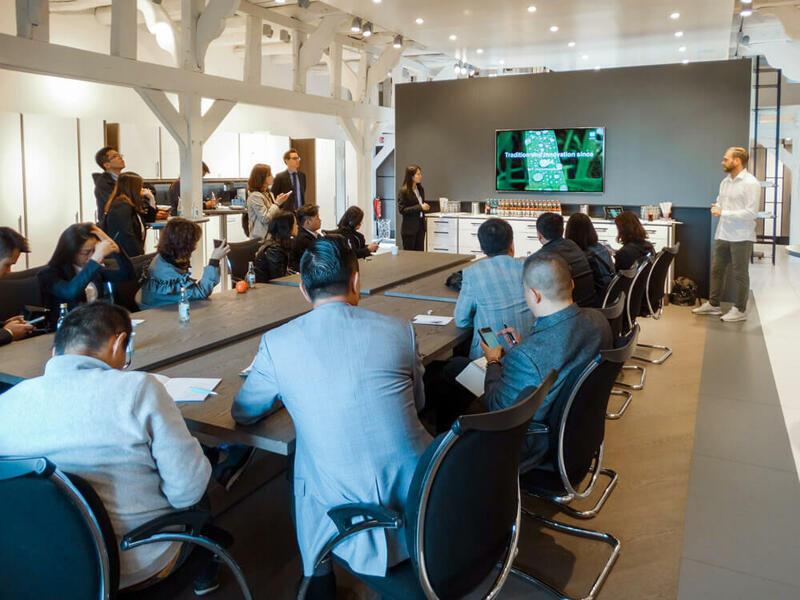 The guests were extremely interested to discover more and were clearly impressed by the company’s sheer size and exceptional technological standards. They were also particularly keen to try their hand at working with the machinery. The showroom within the timbered building on the company premises allowed the Chinese visitors to experience the products up close. 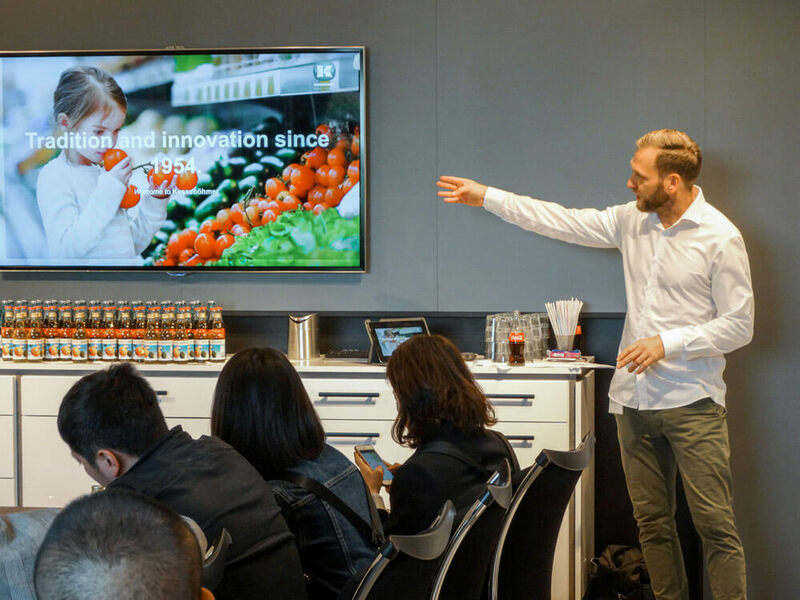 The brand scouts were clearly well prepared for the visit as they showcased the product features and benefits of the individual hardware systems whilst also offering advice on installation and marketing. The unofficial highlight of the trip ultimately turned out to be the apple trees growing in front of the timbered building, as the guests were able to harvest some fruit of their own and take photographs as a souvenir of their time in Bad Essen.